After a 25 year plus hiatus I recently re-entered the world of Triumph sports cars with the acquisition of a 1962 TR4 restoration project. As I began to meet and talk with other folks in the LBC community I realized there was an interest/need for a few specialty items that I thought I could provide at a reasonable cost. These tools are quality "reproductions" of the Churchill special purpose tools described in the British Leyand Service Manuals. They are not exact carbon copy duplicates of the originals and have some minor physical differences but they are functionally equivalent and will give a lifetime of reliable service doing the jobs for which the original Churchill tools were designed. Hopefully you will find them both affordable and useful. If you don't see what you need feel free to contact me and I will see what I can do to make it happen. You can click on the pictures to see a higher resolution image. 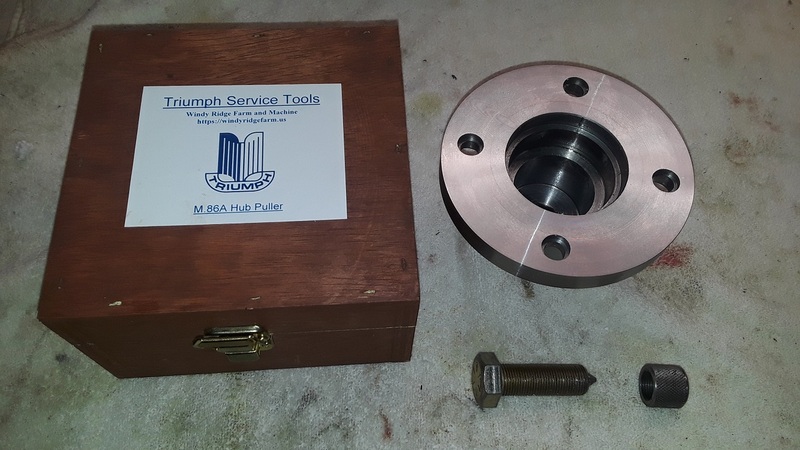 The S.109B hub puller is used to service rear axle hubs on the Spitfire/GT6 and other small frame Triumphs. 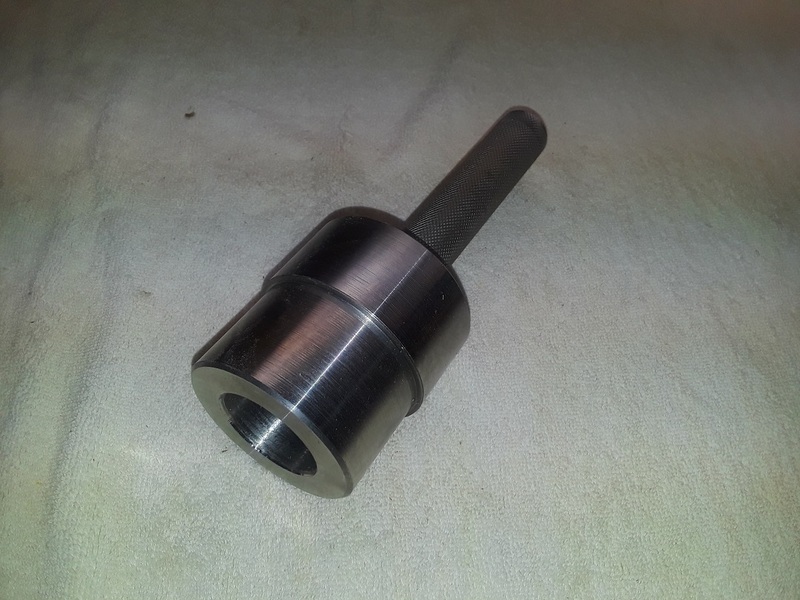 It is a solid one-piece turned steel construction with a 3/4-16 UNF forcing screw capable of producing nearly 20 tons of pulling force, a 1/2" thick flange, and a distance piece to cover and protect the threaded end of the axle. 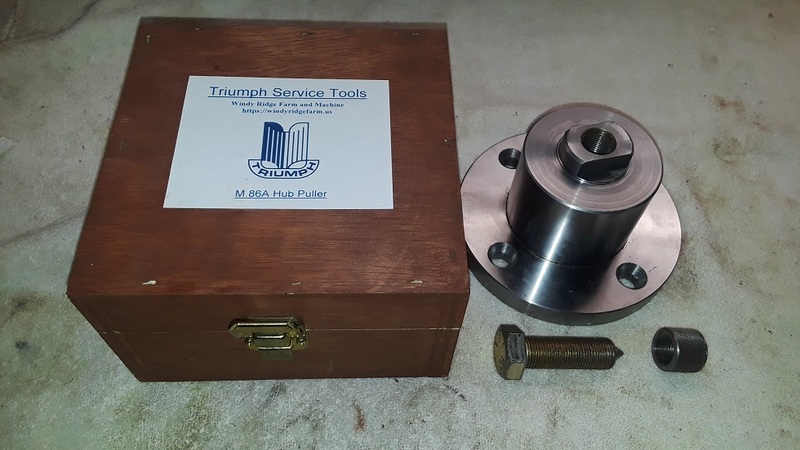 The M.86A hub puller is used for TR series vehicles. It is of two-piece construction with an outer ring pressed onto the steel center section. 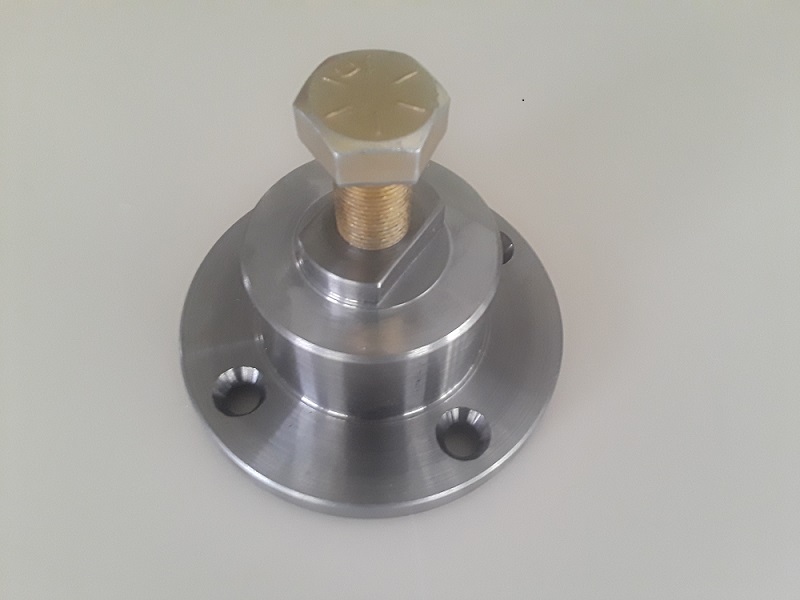 It has a 3/4-16 UNF forcing screw capable of producing nearly 20 tons of pulling force, a 1/2" thick flange, and a distance piece to cover and protect the threaded end of the axle. 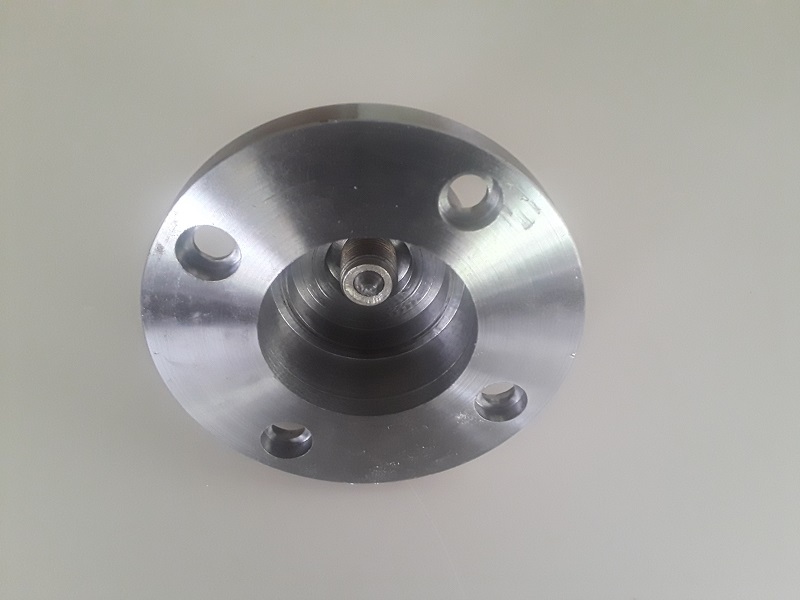 The OD of the two gage surfaces are made to +/- .001 tolerances to ensure a perfect housing to crankshaft fit everytime. The diameter of the smaller end of the gage is 2.624/2.626 and the diameter of the larger end is 2.817/2.819. 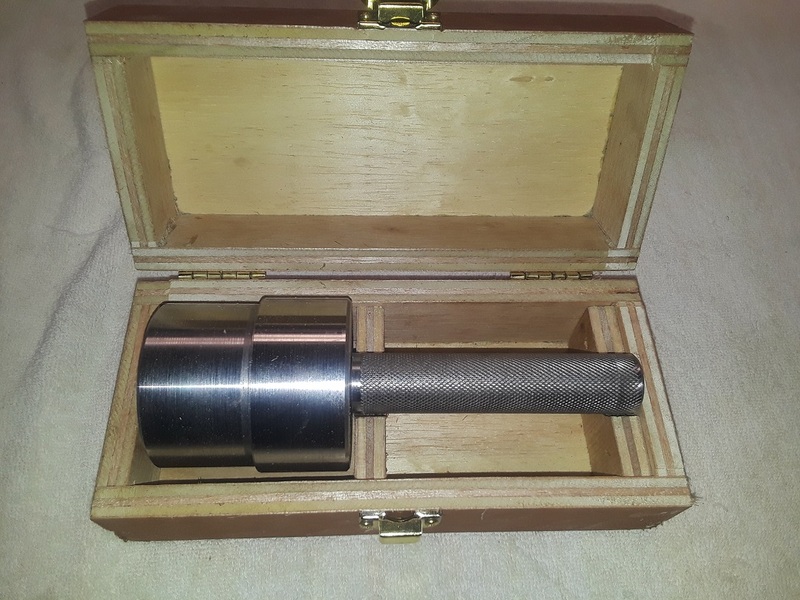 The gage and handle come in a custom fit wooden case to protect them from nicks and dings ensuring the gage surfaces remain accurate and blemish free.